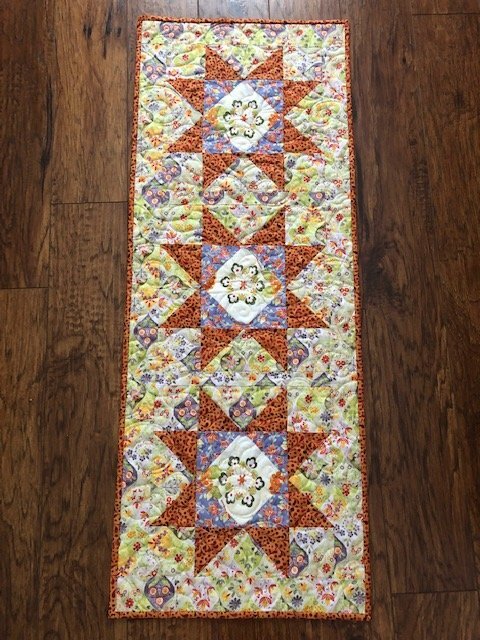 We will cut all of the pieces for this project with the Accuquilt Cutter which we will have here at the store. You will be delighted with how fast and accurately this runner goes together. Learn how to use the Accuquilt Cutter, accurate piecing and how to machine quilt and attach binding.